This summer at Fuzzy Math, we are exploring the impact and interactions of wearable technology as each member of our team participates in a three-month-long project to explore the ins and outs of these devices. This endeavor will be broken down into three phases: 1) first impressions and getting to know one’s wearable device, 2) empirical evidence and applications for it, and 3) heuristics for each category of devices. This summer-long study is comprised of three separate category groups for the sake of tracking and analyzing data and findings. These groups are activity, awareness, and sleep. For more information, read our introductory post on this project and follow @fuzzymath on twitter, hashtag: #fmwearable. 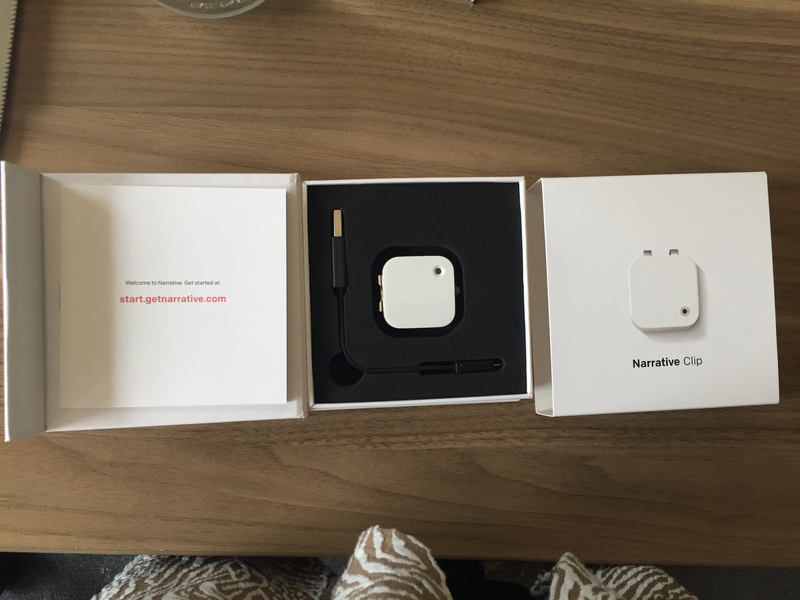 I was so excited to buy my wearable, and thankfully, it arrived pretty quickly! The packaging was very aesthetically pleasing and easy to open. The cords to plug in the device, the device itself, and the introductory handbook came side by side in the box. I assumed the device needed to be charged, so the first thing I did was plug it in. The dots on the side light up to communicate that it’s charging. I also assumed that plugging in the device would activate the firmware to launch some sort of setup. However, plugging in the device only charged the device, it didn’t do anything else. 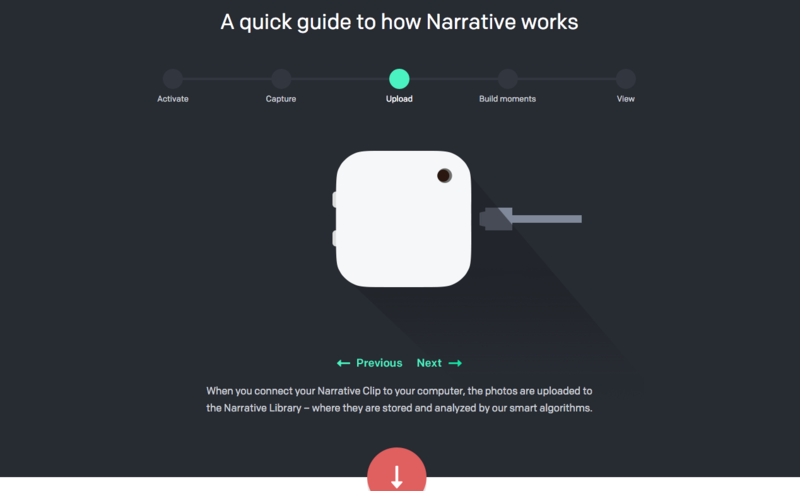 I decided to start searching for further setup instructions online and the Narrative site led me to http://start.getnarrative.com/. What I learned later is that the website is posted in the paper introductory handbook, but I overlooked it because I was so excited to have the device! I arrived on the website and walked through the steps. I followed the steps and downloaded the supportive software. 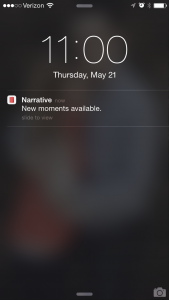 Once it was installed, I plugged my Narrative in and saw that it began to charge. When the device was fully charged, I used it all throughout the day and then plugged it in again the next morning to upload the photos. 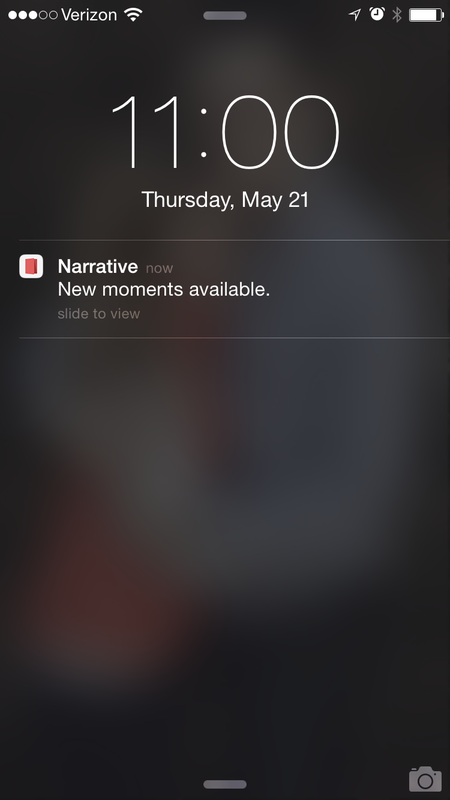 Once the photos were uploaded, I installed the Narrative app on my phone and I got a notification about my upload. 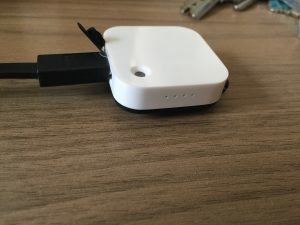 After my unpackaging experience, I tried to get into a routine of wearing the device, charging the device, and uploading my photos. However, this routine was quickly affected by my lack of memory to initiate. The Narrative clip doesn’t really have an interface and the device is rather simple to use. The user only needs to plug it in/charge it and make sure the battery is full when it is in use. On a scale from one to 10, with 10 being the most user friendly, I would give it an eight. The Narrative clip has a simple, clean design that I quite enjoy. However, the wearability of a ‘clip’ device isn’t always suited for women’s clothes. On a scale from one to 10, with 10 being the best design, I would give it a six. 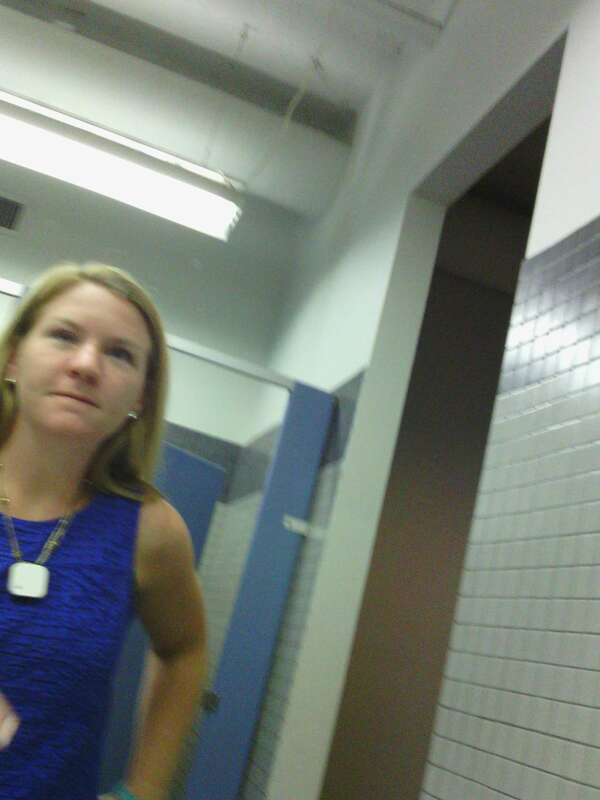 I’ve had to be creative with the way I wear my Narrative clip. Below is a photo of me, in the mirror, wearing my clip. I created a makeshift necklace so I could wear the clip around my neck. The battery life lasts about one full day. Between forgetting the device and the short battery life, I tend to use the device only during my work day. So then, in the morning the next day, I can charge it and upload all of my photos from the prior day. There is an application and a desktop web browser by which I can access my photos. The device itself has only three dots on the side that indicate two things when unplugged. On a scale from one to 10, with 10 being the best design, I would give it a seven. The App is great. It has never crashed on me, and I get updated with notifications every time my device is finished uploading to the cloud. However, the experience feels unnecessarily different than the web-based experience. On a scale from 1 to 10, with 10 being the best design, I would give it a seven. Is it matching your expectations? I didn’t have too many expectations. However, I did think I would be so caught up in the experience that I would never forget to bring it with me. This has not been my experience so far. I think there is a lot more to be learned from my device. Ultimately, I think the value lies in reflection. So far, I’ve only had 30 days to reflect. In another 30 I’m confident my perspective will change.